Candidate for: Clark County Councilor – District 4. New candidate for this position. 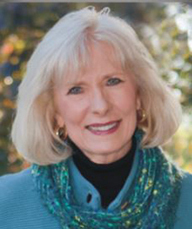 Summary Analysis: Eileen Quiring is an experienced politician with a track record of independent conservative actions. Her political experience is based in serving in the Oregon Legislature from 1995 to 1997 and in the Oregon Senate from 1997 to 2001. She rose to various positions of leadership in the Oregon legislature. Eileen Quiring has a 76% composite score. See details about score in the composite score matrix. Campaign manager and team: Appears to be self-directed with volunteers. Education – higher: Candidate earned a Bachelor of Arts in Management of Human Resources from George Fox University; and in 1998 was named a Distinguished Alumnus. Relevant work experience: Her career was in both the private and public sectors. Owned and managed a small (8 employees) business enterprise for a number of years (Beaverton/Raleigh Hills, OR). Was employed as a licensed Real Estate Broker and Appraiser. Candidate served in the Oregon Legislature from 1995 to 1997 and in the Oregon Senate from 1997 to 2001. Organizations and community involvement: Candidate has served on various civic and non-profit boards in the community, among them the Board of Directors, Pregnancy Resource Centers of Greater Portland (Chaired 2002-2005), Board of Directors Member, Portland Rescue Mission, Portland, OR (2001-2004), Board of Directors, Metro Policy Chaplaincy (2004-2006), Advisory Board of Directors Member, Capitol Ministries of Oregon (1998-2001). Donation analysis: Eileen Quiring’s donations are substantially from people known to be right-of-center and many known conservatives who are involved in local politics. These donors generally have strong insight about where the specific politician loyalties are, or will be. These people make donations based on this knowledge. Donations are considered adequate, relative to amounts needed be competitive in this particular political race. How to review donations. Time in area: Eileen Quiring was born in Clark County and has most recently lived here for approximately 6 years. Original analysis: July 2016 Updated: October 2016.